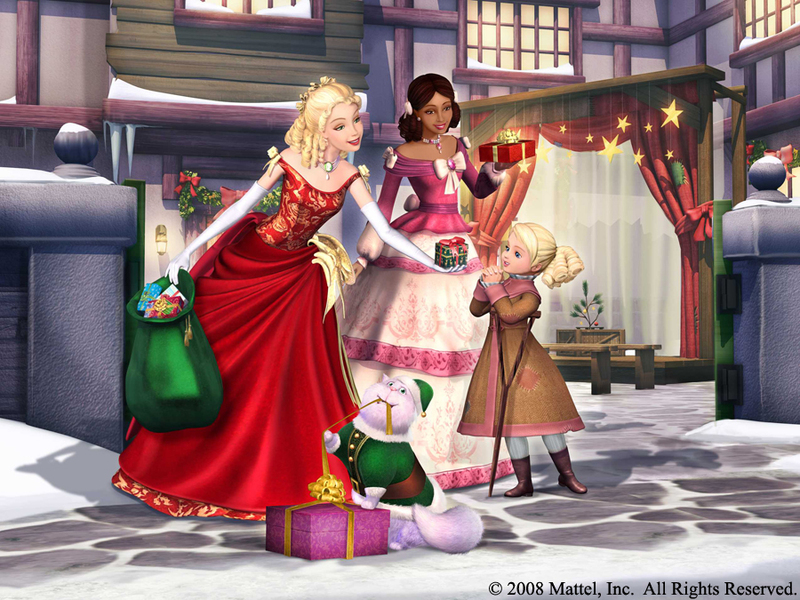 Barbie’s latest movie “Barbie in a Christmas Carol” (2008) is an absolute hit. It’s awesome and as long as you have children, grandchildren or stay young at heart, Barbie in a Christmas Carol is one movie you can add to your yearly must-watch Christmas movies collection. Oh, and mind you; I’m not alone in my critique and opinion either! I just finished watching the new DVD with my 10 year old daughter and the movie had her oooh-ing and aaah-ing but also at times dancing around. 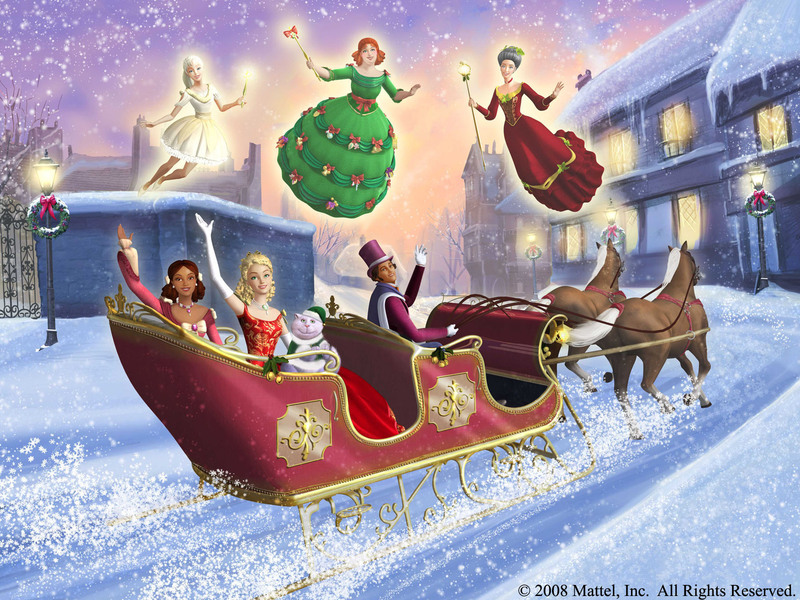 Anyone familiar with Charles Dickens‘ A Christmas Carol knows the story and will easily recognize it in Mattel’s rendition. Barbie stars as Eden Starling, a true Ebenezer Scrooge if ever there was one! The movie stays true to story and thus provides insight, some laughs and really good Christmas cheer. This was the first Christmas movie my daughter and I watched this season (well, no, we watched and old VHS recording of Garfield’s Christmas Special last week but this was the first Christmas movie) and we ended the movie in a real feeling of Christmas spirit. The artwork is as we’re used from Barbie movies: fabulous. Check out this scene where the ghost of Christmas past brings Eden Starling (played by Barbie) back to a Christmas kept bleak by her aunt but so enriched by her friend’s family. As you see, the ghost of Christmas past is a cute fairy. 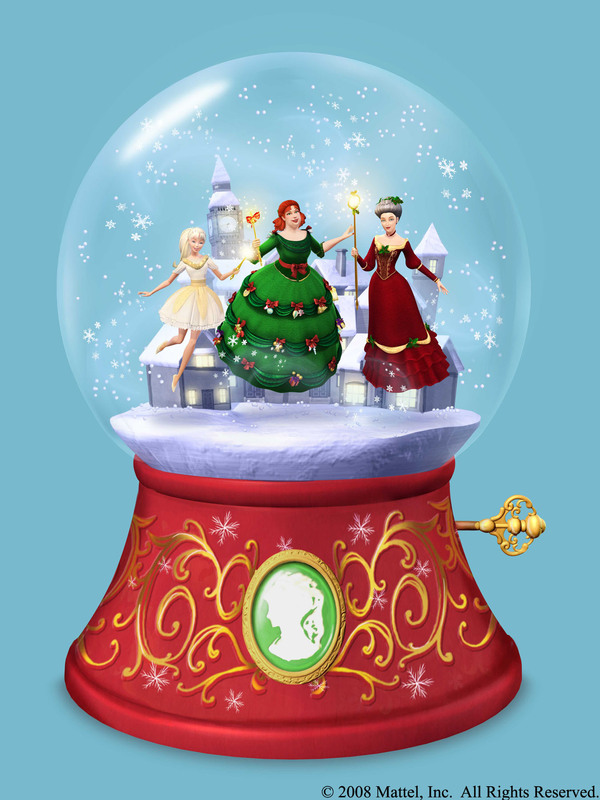 The ghost of Christmas present is a jolly lady, very hearty and kind. The ghost of Christmas future is very well done; Mattel hints at her being dreary but within seconds she takes off her cap and looks like a regular lady … albeit one who seems sad that she has to bring a bad message. Really nothing scary here and you can absolutely watch this with young children. Barbie herself certainly has her own ideas about this movie and the clothes she’s wearing in it. 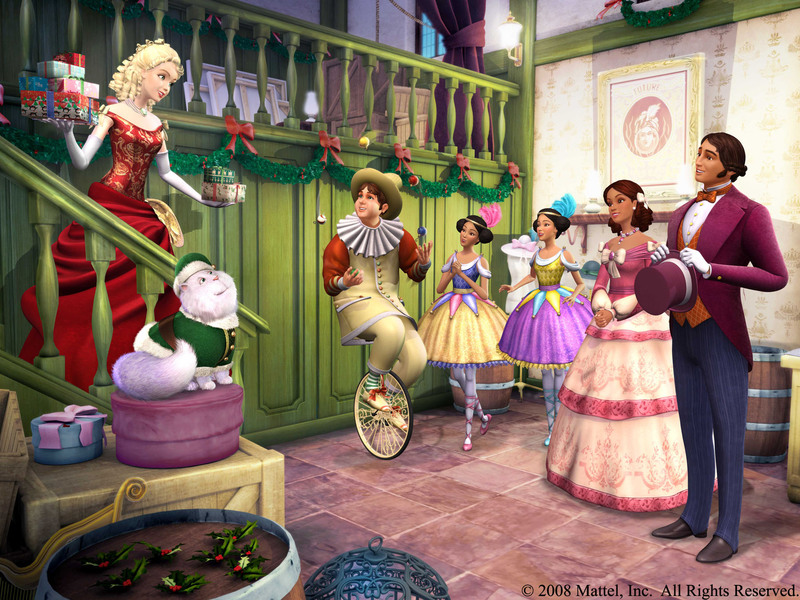 We were able to catch an interview with Barbie about her starring role in A Christmas Carol. Apart from full-price new ones, sharply discounted versions are already available on Amazon.com — as always including Amazon’s regular consumer protection in place. do that too, and all online for your convenience. Click on the image for the large desktop background version.